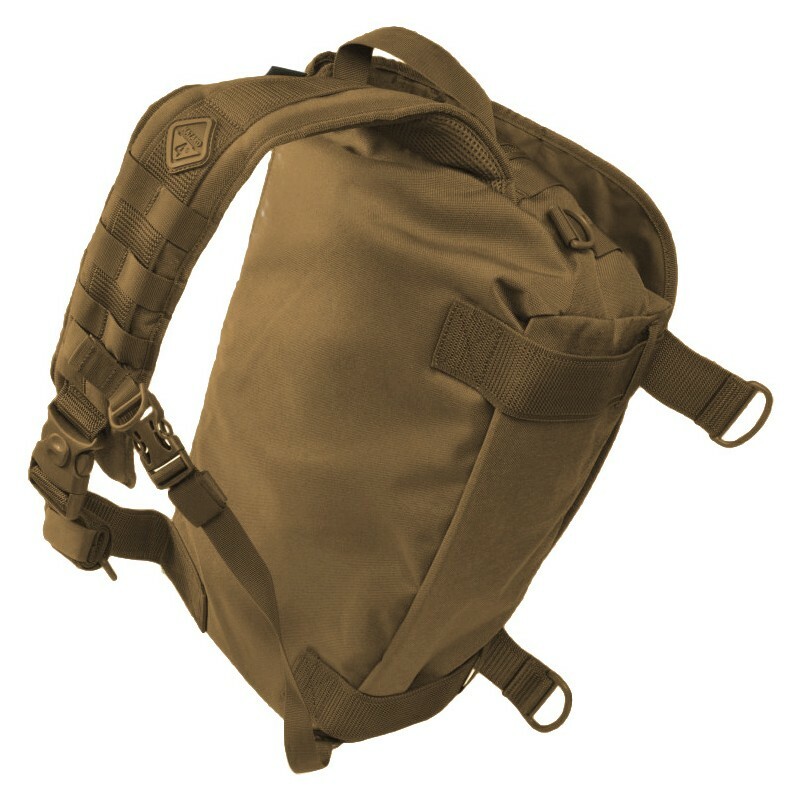 Presented Hazard 4 Defense Courier Diagonal Messenger stays very flat when carrying loads like a laptop, but its ingenious construction also allows it to square-out and accept a huge load-out. 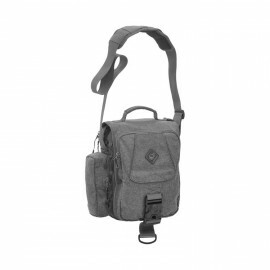 This diagonal pack type messenger has a thick, air mesh backed carrying strap with a modular MOLLE front so it can be worn more like a pack. 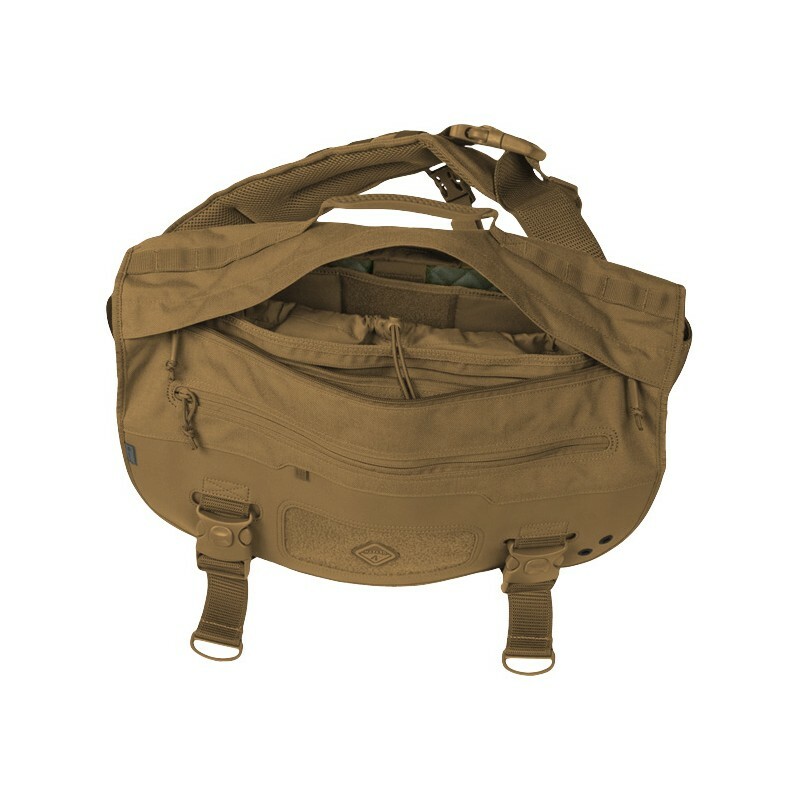 This makes it very comfortable for long excursions with heavy loads, and it can still be rotated to a side bag or chest pack orientation for quick access to gear. Additionally, it can be outfitted with a stabilizer strap, and the main opening is modified to help retain contents in a sideways orientation. The interior of the main compartment comes with two large sleeve pockets (one with Velcro), two smaller side pockets, large vertical Velcro strip and heavily padded laptop sleeve carrier lined with quitted soft fabric and closed with adjustable Velcro strap. As an extra protection the main compartment is equipped with a snow collar with elastic draw cord so all the gear inside the bag stays safe and dry at all times. The flap features a large zippered pocket, tough polymer material on high-use areas and unique two-way zipper with pull tabs for easy access to the main compartment without opening the buckles. Under the flap is a large, clear, weatherproof transparent window for maps and documents. 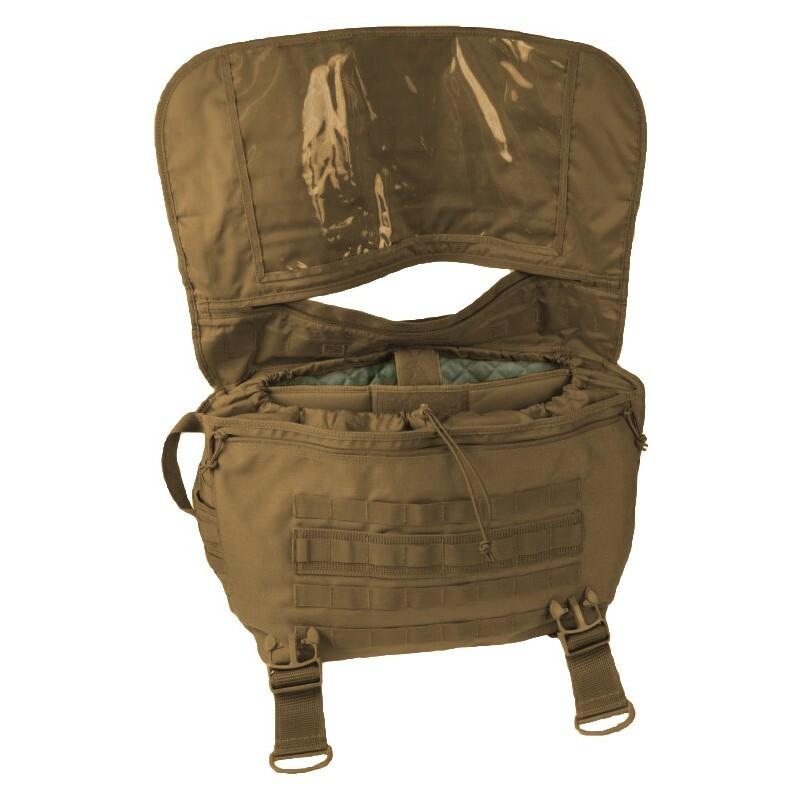 The front surface under the flap is covered in modular MOLLE webbing for attaching numerous pouches which are kept hidden and protected under the unassuming flap. The interior area behind the front flap also contains a large admin pocket with multiple sleeve pockets (one with Velcro closure), D-ring and two-way zip closure with pull tabs. 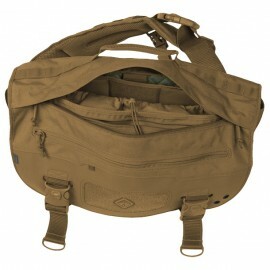 The bag also comes with two side pockets with MOLLE straps for quick access to handy items, rubberized and vented carrying handle, and a class-leading strapping throughout the bag that is stiff yet soft on the skin and is very useful for attaching additional side pouches and other MOLLE compatible accessories. The Defense Courier Diagonal Messenger is an amazing piece of portable luggage and a real value compared with messenger bags in any market.